By now, everybody knows the pain and devastation that was caused by Hurricane Irma. Since the beginning, coverage of storms like this have been radio’s strength. Radio people love emergency coverage and, if I must say so myself, nobody does it better. Listeners depend on local radio, yet are we prepared to handle these situations? You’d be amazed at how many radio stations do not have a plan to execute emergency coverage. Get a generator at the studio and transmitter site. Obvious yes, but you’d be surprised how many stations do not have working generators. If you have generators, great. Just make sure they are tested on a regular basis. Yes, they are expensive, but in an emergency, it’s the most important tool you will have. Without power, well, you’re done. If nothing else, do this today. Establish a working relationship with a local TV station. The fact is, local TV stations (with news staffs) have more people and are better prepared to handle emergency coverage. The arrangement needs to allow you to simulcast their audio at any time. Promote your new alliance. Let your listeners know that when an emergency occurs you’ve teamed up with (TV station name) to keep you updated. If you are truly committed to “live and local” have your own personalities handle emergency coverage. No matter what your format, I’ll bet that your on-air people would do a great job with bad weather coverage. Plus, you can enlist other staff members to help. You’ll be amazed how they will do. Use all the staff power you have, no matter what their position. Interns, receptionist and sales assistants might surprise you. Drop your format and let them go. Emergencies are not about most music. It’s about information. Even though you will depend on TV for the bulk of the coverage, you still need one of your personalities on your air. If for no other reason to jump in every 10-15 minutes and let listeners know what they are listening to and to update from your end. Set audio feeds up so all you need to do is hit a button on the board and their audio is on your air. This needs to be done today. You never know when you will need it. On September 11, many stations found themselves putting a microphone in front of a TV speaker to carry audio. Have an emergency “play-book” simply written and in the control room. It should outline all procedures when initiating emergency coverage. Local emergency phone numbers should also be here. Have imaging done and ready to go. What will you call your coverage? Have verbiage written. Have a plan for commercials. In many emergencies, you will need to suspend them. Keep emergency food & water stocked up. Food delivery might not be available. Water and nonperishable food (that can be stored) is best. Last, but not least! Consider building showering facilities. If your people are stuck there for a few days, this will be a lifesaver! In today’s world, consumers’ path to purchase almost always goes by way of a search engine. In fact, according to Forrester Research data, 71% of consumers begin their journeys by using a search engine to discover new products and services (initiation), and 74% report using a search engine for consideration and purchasing (research, comparison, transaction). What Really Drives Online Behavior? Results from a recent Sequent Partners research project answers this question. Radio generated an average of 29% lift in Google search activity. Search engine usage as a result of radio advertising is greater on weekdays versus weekends. Radio-driven search activity is higher during midday hours. The quality of radio creative (messaging) has a direct impact on increased search behavior. Now I don’t know about you, but I didn’t find anything about this astonishing. For years, adding radio to complement another medium always created better outcomes — whether that other medium was newspaper, television or direct mail. Not even a casual observer should be surprised to learn it’s no different with digital media. When you reach additional tens of thousands of consumers (mass media) instead of just a few hundred consumers (digital), of course it’s going to generate a positive lift in efficacy. Remember that if you are looking for a way to make your digital investment work better for you. Note that search results were greater on weekdays versus weekends. Could it be because far more people listen to radio Monday through Friday 6 a.m. to 7 p.m. than on weekends? And of course quality radio creative has a direct impact on increased search behavior. As much as compelling content drives engagement on the digital platform, it’s never been any different on radio…or any other platform, for that matter. Good messaging drives every communication platform. Bottom line: companies who have used broadcast media over the years to build a brand in the minds of consumers are always going to get better search engine results. Why? Because consumers buy from people they think of first and feel the best about. How many people are doing business with your company has everything to do with how many consumers in your market think of our company first (awareness) and feel good about your business (trust) when they have a need for what you sell. On the other hand, if you are not doing as much business as you think you should be doing, perhaps it’s because too many consumers are not thinking of your business when they have a need for the products or services you sell. Winning the battle for the consumers mind before they have a need for your products and/or services (top of the funnel) has always been the path to winning the business category. Consumers just don’t like doing business with companies they never heard of and don’t feel good about. Would you pick a heart surgeon out of the yellow pages…one that you never heard of or had a great reputation? If you think or have been convinced that the battle can be won just at the time of purchase (bottom of the funnel), do your own research on what happened to Pepsi and Procter & Gamble: two major firms still trying to recover from a sales slide few want to talk about. For them, targeting only the few consumers at the bottom of the sales funnel proved to be a costly mistake. WGVU Public Media (Grand Rapids) will hold their annual “Food, Wine and All that Jazz” fundraiser October 27. Supporters can enjoy samples from over 400 of the finest domestic wines and beers along with gourmet food selections all for one ticket price. The event will take place at the Grand Rapids Public Museum and will also feature live jazz. In a light-hearted parody of the new movie “Battle of the Sexes,” which tells the story of the 1973 Billie Jean King/Bobby Riggs tennis match, WZZM-TV (Grand Rapids) held its own battle with a ping-pong tournament between morning photojournalist Cheryl Barrigear and Meteorologist Aaron Ofseyer. The battle was held on October 9 with play-by-play and color analysis from “ping pong commentators” Lauren Stanton and Dan Harland. We won’t tell you who won, but you can see the complete video here. CBS Radio’s WWJ-AM (Detroit) now offers its listeners the ability to receive station newscasts via Amazon Echo products. Listeners are invited to open their Alexa app or log onto their Alexa account at Alexa.Amazon.com. From settings, select Flash Briefings and then Get more Flash Briefing content. Search for WWJ Newsradio 950 (WWJ-AM in Detroit) to turn on the station’s updates. Then it will be as simple as asking Alexa for the latest Flash Briefing from WWJ 950. Sister station WXYT-FM (97.1 The Ticket) offers sports updates through the appliance as well. 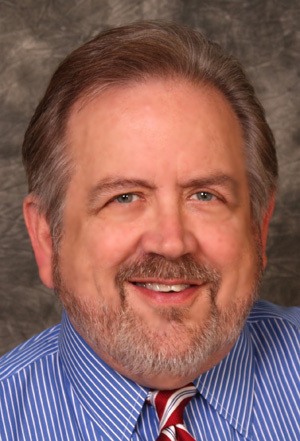 Al Blinke, Vice-President and General Manager of WNEM-TV (Saginaw) has announced that he will retire, following a 40-year career in television and radio broadcasting. 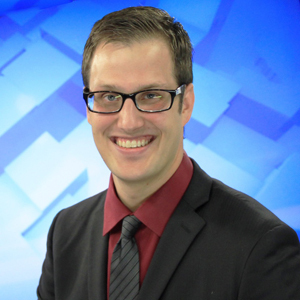 Blinke has led WNEM for the past 13 years. He started his career in radio as a reporter, writer and producer at WWJ-AM (Detroit). He moved into television as an assignment editor at WJBK-TV (Detroit), then as an assistant news director and assignment manager at WTNH-TV (New Haven, Conn). He went on to became news director at WPXI-TV (Pittsburgh), and later took on the same role at WSB-TV (Atlanta). He was then a domestic television consultant for Frank N. Magid Associates before returning to news directing at the KDKA-WNPA duopoly in Pittsburgh for three years. 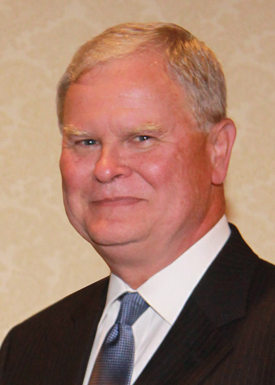 Blinke is a member of the MAB Board of Directors and has served on the board for many years. No date has been announced yet, but a nationwide search is underway for his replacement. According to the Broadcast Law Blog, the FCC released the agenda and draft orders for the agency’s open meeting on October 24. For broadcasters, the most significant proposal on the agenda is the draft order to abolish the main studio rule: the requirement that a broadcast station maintain a main studio in close proximity to its city of license that is open to the public and staffed during normal business hours. 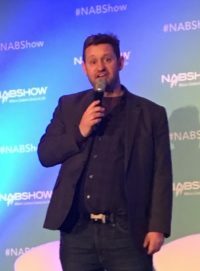 The FCC’s draft order states that in today’s world much communication with broadcasters is done by phone or electronically, and as stations either have or soon will have their public files available online, there was no longer any need to maintain the rule mandating the main studio. The main studio rule has been on the book since 1939. Your MAB is monitoring and will bring you updates.